Let’s talk about immunizations, or vaccines as they are also known. Many common illnesses and contagious diseases are preventable with proper vaccination. A vaccine is a weakened or killed form, or piece, of a disease. When given as a shot, this triggers the body’s immune system to either produce antibodies that protect against that particular sickness or otherwise enhance immunity. This way, if you’re ever exposed to the actual disease-causing bug, your immune system is prepared to fight the infection. Usually, the vaccine will prevent the development of the disease or lessen the severity. Thanks to immunizations, many diseases that once posed serious health threats to children – including death – had decreased to their lowest levels in decades. However, in recent years, outbreaks of infectious disease among certain pediatric communities has increased due to the rising number of parents declining vaccines for their children. Vaccines are safe and effective against disease. According to the Centers for Disease Control and Prevention, most recommended childhood immunizations are 90 – 100% effective. Some children, however, will not develop full immunity against a disease despite receiving the vaccine. This makes it even more important for all children to get vaccinated. Those in whom the vaccine is 100% effective will protect others who did not develop full immunity, thus lessening everyone’s chance of exposure. Even in cases where a child did not develop 100% immunity, the symptoms will usually be milder than if the vaccine had not been received at all. Despite the known benefits of immunizations, many still choose not to properly vaccinate their children. Here are some common misconceptions about immunizations, along with important information to know. Misconception #1: There are side effects associated with vaccinations. As with any medication, vaccines can have side effects; however, they are usually mild. 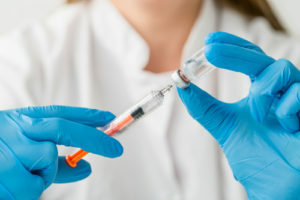 The most common reactions associated with vaccines are redness and soreness at the injection site and low-grade fever. These reactions usually disappear within a few days. More serious reactions have been known to occur, including allergic reaction. This will usually happen very soon after receiving the vaccination, and doctors’ offices are well equipped to handle these situations. Be sure to tell your child’s healthcare provider if he or she has had a reaction in the past or may be allergic to any part of the vaccine. Misconception #2: There are dangerous ingredients in vaccines. Thimerosal is a mercury-based preservative that has been used in some vaccines since the 1930s. According to the CDC, no harmful effects have been noted from the amounts of thimerosal used in vaccines, aside from expected reactions such as redness and swelling at the injection site. Regardless, since 2001, no US vaccines used to protect preschool-aged children contain the preservative thimerosal. Aluminum is another ingredient in some vaccines that is used to boost the immune response to the vaccine. This allows for lesser quantities and fewer doses of the vaccine to be needed. Aluminum has been used for this purpose in vaccines since 1926 and extensive testing in clinic trials is required before a vaccine is licensed for use. It is also important to understand that aluminum is a natural element found in plants, soil, water, and air. In fact, it is the third most abundant element after oxygen and silicone. To give some perspective, infants will receive about 4.4 milligrams of aluminum from vaccines in the first 6 months of their life, while they receive more than that from their diet. Breast fed infants ingest about 7 milligrams aluminum in the first 6 months of life, formula-fed infants ingest about 38 milligrams, and infants who drink soy-based formulas ingest almost 117 milligrams aluminum by 6 months of age. Symptoms of autism spectrum disorder usually appear around the same age that children receive the measles, mumps, and rubella (MMR) vaccine. For this reason, some have assumed that there is a link between the MMR vaccine, thimerosal, and autism. However, the MMR vaccine has never contained thimerosal, and neither have the vaccines for chickenpox or polio. Further, a 2004 study by the Institutes of Medicine concluded that there is no link between autism and vaccines that contain the preservative thimerosal. Serious health problems, disabilities, and even death can occur from measles, mumps, and rubella, so a child is at much more risk for harm when he or she is not vaccinated. To learn more about childhood immunizations and see the recommended schedule of vaccines, visit the CDC website and talk with your child’s healthcare provider. Because the proven preventative benefits of vaccines far outweigh the risks of the minimal side effects associated with them, medical providers agree that all children and adults should receive age-appropriate vaccinations. Often vaccines are associated with children, but there are many vaccines available and necessary for optimal adult health. This is partly because childhood vaccines wear off over time and partly because adults are at higher risk for exposure to different diseases. Additionally, age, health conditions, certain jobs, lifestyle, and travel can pose greater risks to adults. 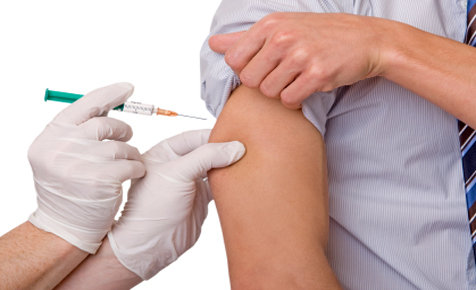 All adults need a flu vaccine every year, as well as regular booster vaccines for tetanus. It is recommended to get the flu shot before the end of October for best protection. To learn what other vaccines may be appropriate for you, visit the CDC website and talk with your healthcare provider. Vaccines and Immunizations via Centers for Disease Control and Prevention website. https://www.cdc.gov/vaccines/index.html . Accessed Oct 5, 2018. Immunizations and Vaccines via WebMD website. 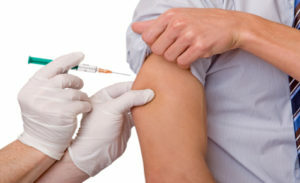 https://www.webmd.com/children/vaccines/immunizations-vaccines-power-of-preparation#1. Accessed Oct 5, 2018. Percent of Children Aged 19 – 35 months Receiving Vaccinations. “National Center for Health Statistics – Immunization” page of the Centers for Disease Control and Prevention website. https://www.cdc.gov/nchs/fastats/immunize.htm. Accessed Oct 16, 2018. Vaccine Ingredients – Aluminum. Children’s Hospital of Philadelphia website. https://www.chop.edu/centers-programs/vaccine-education-center/vaccine-ingredients/aluminum. Accessed Oct 16, 2018. 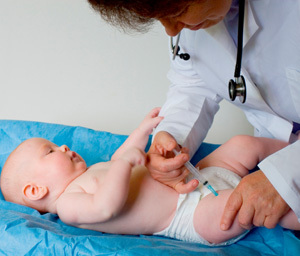 Immunization Safety Review: Vaccines and Autism. Institute of Medicine of the National Academies. Found online at https://www.ncbi.nlm.nih.gov/books/NBK25349/. Published 2004; Accessed Oct 5, 2018.